Windows 7 has seen the world for at least seven years, since its release in 2009. Well, Microsoft doesn't support Windows 7 officially since 2015, as it is now focused on Windows 10. However, Windows 7 is opted by many users as it is more stable and is very easy to use. Nevertheless, we cannot forget the fact that Windows 7 has some issues such as Windows 7 stuck on starting windows. And today, we are going to see some of the best solutions to "Windows 7 freezes on startup" issue. To solve the "Windows 7 freezes after startup" issue, start your Windows 7 system in Safe Mode. Now restart your system normally. By simply starting your Windows 7 system in Safe Mode just does wonder without you needing to do anything else. With this method, if any of the Windows updates or some other update gets hanged, it gets resolved with Safe Mode, as just a forced restart will not do its work. If "Windows 7 starting windows stuck" issue is not repaired with Safe Mode, try to repair your system using Windows 7 installation CD. For this, open command prompt window by pressing Shift+F10. Now type bootrec.exe /fix in the command prompt window. This should probably solve your problem. The next Windows 7 boot stuck on starting windows fix is a system restore. And if you've made a backup of full system, this method is more easy for you now. Follow below steps to restore your system. Step 1: First normally start Windows 7. Press F8 key before the windows loading logo is displayed. You will be given various options of Windows boot. Step 2: Select the option "Repair Your Computer" and have patience till the repair mode of Windows 7 is ready. Step 3: Select "OK" when prompted to choose keyboard. Select your account when asked to choose account, and then click on "OK". Enter the password, if set. You can now see System Recovery Options; select System Restore. Step 4: All the available Windows restore points will be seen. Now select the appropriate restore point. If you're not able to see all restore points, look for option "Show more restore points". Step 5: Tap on "Next". With this, your Windows will be restored to the point selected. Wait till the system restore is finished. Hope this solves your "Windows 7 stuck on startup" issue. If the above method of System Restore didn't give you success to solve Windows 7 freezes on startup logo issue, try if there are any hard drive issues. And if you find any, follow below steps to solve the issue. Step 3: Select "OK" when prompted to choose keyboard. Select your account when asked to choose account, and then click on "OK". Enter the password, if set. 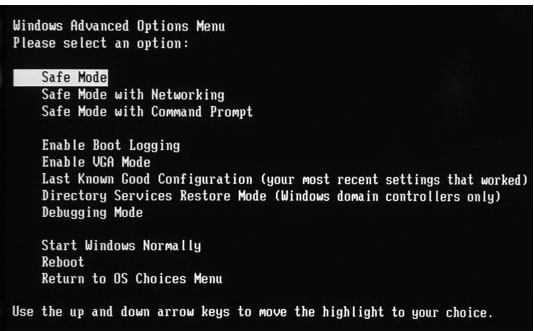 You can now see System Recovery Options; select Command Prompt. 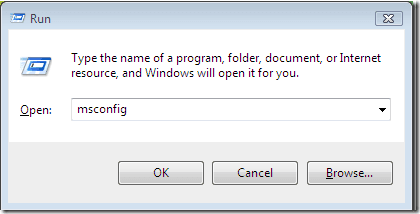 Step 4: With this a command prompt window will be opened. Now simply type chkdsk/f. With this, your hard drive will be scanned for errors, and in case any errors are found, it will also try to fix them. You can even try "chkdsk/r" so as to scan and repair erroneous sectors. Step 5: Now, simply restart the computer. Another way to solve "computer freezes after startup Windows 7" issue is to check for CMOS and CMOS Battery. A misconfiguration of BIOS may cause the Windows freezing while startup. CMOS is an R/W serial or parallel flash chip on motherboard. It stores the data regarding user settings and hardware configuration. In order to clear CMOS, first clear the motherboard's BIOS memory. TO do this, for few minutes simply remove the CMOS battery. It will result in reverting of the BIOS settings and bring back all to the default factory levels. Also, the out-of-charge CMOS battery can also result in Windows 7 stuck on starting windows screen issue. For this, try replacing the faulty CMOS battery in case the computer is over 2–3 years old. The last solution for "windows 7 stuck on starting windows" issue is Windows Boot Genius. The tool will no doubt help you get rid of your problem instantly with ease. Follow below simple steps to solve your problem. 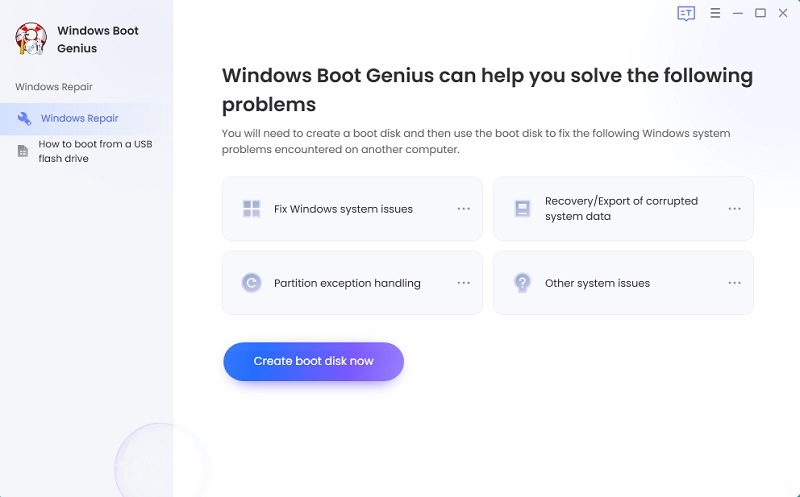 Step 1: Launch the Windows Boot Genius on your computer. The mandatory component for further process is a bootable disk and thus you have to prepare it. You can do this by using the already prepared DVD/CD/flash drive. For flash drive, connect pendrive via USB port. For CD/DVD, put your disk in the CD-Rom driver. Click "Burn" in order to start the burning of repair disk. Step 2: Insert this CD in the system/computer having issue. Constantly keep pressing F12 to boot the computer with the help of CD/USB. Click enter for the integrated program page. Step 3: Once the computer is booted from the USB/CD, the software interface will be displayed. Now you have to select the correct reason for the issue of your computer. Now simply follow the on-screen instructions to solve the issue. The above article discusses the best possible solutions for the "Windows 7 boot disk stuck on starting windows" issue. Windows Boot Genius is greatly recommended as it the ultimate solution for the issue. Hope we helped you to solve your problem with the above solutions. Share which of the solution resolved your issue in the below comments.